There has been a lot of question raised about the recognition Slumdog Millionaire is getting across the world. And things have been made worse as people with no connection to cinema whatsoever have started capitalizing on the situation. Let’s set the latter aside as it speaks for itself. There are claims that it is because an Englishman directed the film that it has gone to such heights and had the same been done by an Indian, it would have been crushed. I say – Obviously. To be recognized, you have to be seen first. And bringing wide visibility to your work by itself is job half done. The gripe that such a film by an Indian filmmaker would have gone unnoticed is more of a scar on the Indian scenario than the West’s. The content in films like Slumdog Millionaire and Smile Pinki is very much Indian and is clearly not out of reach of our filmmakers. Indian film industry, too, is not short of great technicians and it could easily pull off similar films by itself. The only and the largest concern is that of the big $. The reason that good films are not being recognized in India seems to be that distributors are not willing to take risks or even pay heed to independent ventures. The term “promoting a film” has been used extensively by the media and its importance never explained. 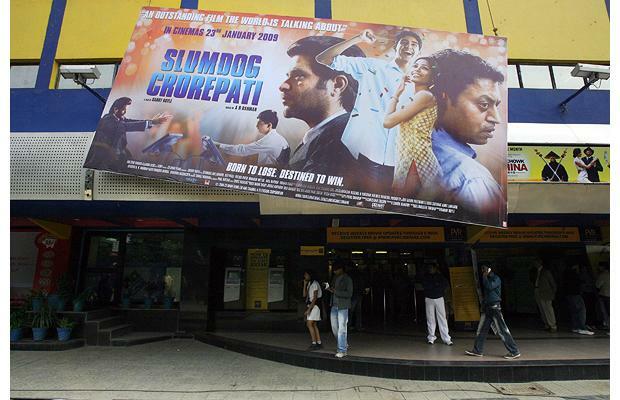 Moreover, the films being promoted are mainstream biggies that already have huge banners behind them. On the other hand, the independent and low-budget ventures keep suffering from under-promotion This situation isn’t going to improve unless some angel pours in money like crazy, which is as likely as a coin landing on its edge. But what can be done is promotion via the hard way. One has to give a push to worthy works regularly so that it is lapped up by the rest of the world. One thing that could help filmmakers to pitch their work to the world is a film festival. No, wrong – a slew of film festivals organized at various levels of governance. This could be done using a hierarchical setup installed across the country. Something like the TV reality shows of today. Filmmakers get to submit their films at city-level film fests. Winners of each city get a chance for exhibition at the state level. The state level winners could then compete against each other at the national level and finally, the national winner could be made the official representative of the country that year. This would not only be a democratic choice but also one that encompasses a large section of films. When sufficient momentum has been gained from the previous wins, a film would evidently get larger attention. Even the ones that lose out would have been seen by a huge audience at the end of it all. Of course, the country’s film board would have to contribute a lot here. But if the filmmakers themselves could assemble some sort of “unconference” (that wouldn’t cost much would it? ), the film development board has to just take care of the higher levels. And most importantly, a really revered international film festival – a centralized national deal – should be set up. This one should not only advertise the above formed cream of the films from the country but also should prompt international filmmakers to showcase their films. Of course, it can’t be made at the extravagant levels of the Oscars or Cannes and needn’t be too. It could, however, earn a name for itself with its selection of films and the awards it hands out. Once this is done, the films would be automatically taken up for exhibition by other festivals across the world. And when a film is promoted across most reputed film festivals of the world, the Oscars would not hesitate to take note. Why not? What is the Oscar but a grand culmination of extravagant chain of promotions? There is a big problem here. I may sound like advocating that we have to work towards the Oscars. No. The Oscars are being widely recognized as the greatest recognition in film world, whereas they are anything but that. The Oscars are as vital as they are being considered, but not for the same reason. The Oscar is not as much important as a consequence of good filmmaking as it is as a cause. Look what happens once the Oscars are announced. The box office results soar. Slumdog Millionaire is back to the top 5 this week at the US box office. The DVD market would now be flooded with the winning films. Even the films that were snubbed by the Oscars, but given nominations would have a chance of making it big a la the Shawshank phenomenon. Distribution of obscured films will become fluid. And if this cascade continues, independent movies would be picked up even before the Award season and given a fair chance (True to their name, Fox Searchlight Pictures found Slumdog in the dumps and have created history now). Multiplexes will be used for the real reason they should be. And if the government is ready to push further, they could pass an ordinance where major multiplexes could be asked to allot one show per day to some of these award-winning films. This would significantly reduce the problem of distribution and film availability. But then, cinema is not an essential service and all the above could be an exercise in futility. But one should also remember that cinema is a huge revenue winner and if proper platform is set up for international collaboration, this would only increase manifold. For the good or otherwise, Slumdog Millionaire has become a landmark film in global cinema and has created a climate apt for cross over filmmaking. This is perhaps the most opportune moment for the country’s cinema to resurrect itself and truly find its voice. However, our filmmakers have to be careful about the most natural pitfall that evolves. They should not look forward to cater to an international audience now but to the local one, however with a keen eye on quality. Only then, we would be able to create a unique identity for our cinema on the map of the world. I’ll reserve the Jai Ho for then! I think one crucial factor is the political situation in the country. Only if there is a tolerant government can any cinema flourish. I do agree there are many movies with non controversial story lines and scenes which can be made. But when the range of non-controversial subjects is getting increasingly narrowed due to political manoeuvrings, it in no way helps the film makers. The audience of the movie, the general public , may be willing to welcome the movie but not the government. There have of course been film makers across the globe who have flitted across countries to pursue their passion,but then such passion also seems rare nowadays. Great that you brought in the political angle. Thank god Slumdog was not opposed by a politician. Otherwise it wouldn’t have come into the country at all.. The reason you don’t see filmmakers fleeing countries nowadays is definitely the improved political situations all round. The ones that did in the past were generally from countries whose governments are no more the same. Even though your point about political intervention in controversial film releases is clearly valid, I believe making good films without receiving the ire of anyone is always possible. Both SM and Smile Pinki did that. And many other films from all over the world have testified the same too The problem for those films – the production and distribution – is what I have tried to address here. All I hope that our filmmakers, producers and distributors start believing in the fact that its possible to make a film where the content can be rehased but a certain understanding of film style is needed. Producers, Distirbutors are only willing to distirbute or produce ur second film if the first one is ” HIT”. And the first if it has market potential. God knows what they mean by this, after all, if they really dont take risk how would we know people want to watch or not. Yet this is the main credenital the mainstream industry works upon. As for the goverment agenices like NFDC one has to come in touch with them to really know the situation. They have funds but they sitting on them, when they produced movies before they did not distirbute them. However, all is not lost, lets hope that people are inpsired to create movies that could move beyond Bollywood. Else we will be seeing more Slumdog clones and people complaining that they made movies better films than Slumdog but it never reaches the Oscar heck any film festival. Beside when you pople like Indian Producers Association controlling the recomddation of films of Oscars from India no wonder people like Ray, Adoor, never get a recco. The Oscar selection process is a complete farce. I always try to stay away from that argument. NFDC did produce good films in the past and even recently in Telugu (Anand, if I remember right). But I don’t know why they are so finicky about their distribution or even the selection of scripts. And exactly as you said, I fear that directors are going to start shooting on streets and lanes just for the heck of calling it real. And they may probably fall back into the hell of “Bollywood reality” of 80s and 90s that they seem to be just coming out of. I hope they ignore the content of Slumdog and just learn from the form.